One of the most fun parts of any vacation is getting to try delicious food at exciting new restaurants, and Gatlinburg TN has the best selection of family friendly restaurants in the Smokies. Before you pack your bags and hit the road, check out our list of 5 delicious restaurants in Gatlinburg TN that the whole family will love! For the most delicious Tex-Mex in a lively atmosphere, be sure to check out No Way Jose’s Cantina! You’ll get to choose from sizzling fajitas, fresh guacamole, cheesy queso and so much more. Don’t forget to order a margarita for the full experience! One of the most well-known and popular restaurants in Gatlinburg TN is the Pancake Pantry. A Gatlinburg staple since the 1960s, the Pancake Pantry draws long lines every day with over 2 dozen varieties of buttermilk pancakes, 7 types of omelettes, amazing french toast and several other delicious breakfast options! 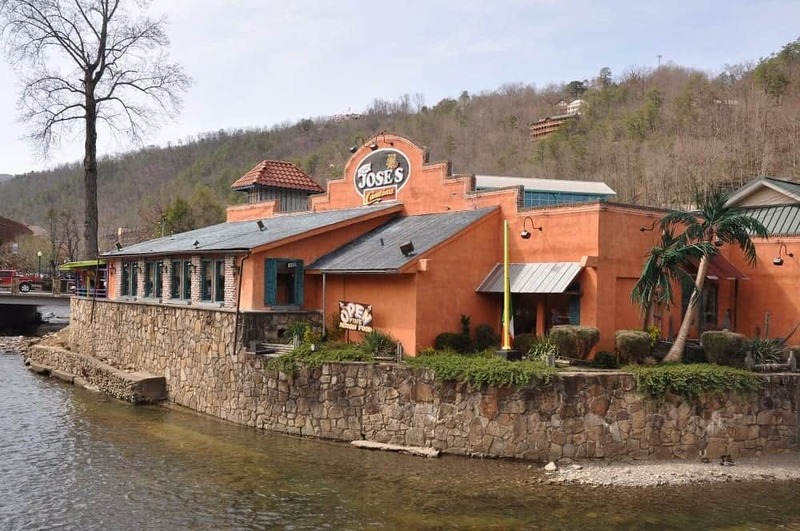 Next on our list of family friendly restaurants in Gatlinburg TN is Three Jimmy’s! This Gatlinburg favorite is known for their mouthwatering appetizers, including wings, fried mushrooms and chicken tenders with special homemade dipping sauce. Three Jimmy’s also features live music and entertainment almost every night of the week! At Crockett’s Breakfast Camp, you’ll find classic breakfast dishes such as stone ground grits, old fashioned oatmeal and a variety of omelettes, as well as some original options like the Cathead Stacker, a delicious medley of meats, eggs, cheeses and fresh fruit and potatoes! A meal at Crockett’s is the best way to start any day! While there are several restaurants in Gatlinburg TN that have a great selection of fresh seafood, the most fun is Bubba Gump Shrimp Co! This Forrest Gump themed restaurant serves up all the classic seafood favorites like shrimp cocktail, seafood hush puppies and shrimp po’boy sandwiches, and they have a kid’s menu to please all the youngest members of your family! Now that you know all the best restaurants in Gatlinburg TN to try out during your next Smoky Mountain vacation, be sure to book your stay at our Gatlinburg TN cabins! There’s no better place to relax and have fun after a big meal out in Gatlinburg TN!